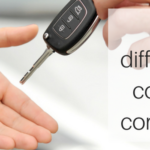 Contract hire and contract purchase are very similar so it's easy to see why this features as one of our most frequently asked questions. There are some fundamental differences which we'll detail in this article. When deciding which lease option is best, it's essential to have all the information. Then, finding one that best suits your needs will be easy. You're welcome!